More and more DVD fans wonder to know how to backup their DVD collections for watching with their family and make sure the discs not to be scratched, lost, stolen, or otherwise useless. And this is why I’m writing this guide to show you how to copy DVD main title only on Windows (10) and Mac (El Capitan), of course, commercial encrypted or copyright protected DVD are included. What is Main Title and Content copy? Main DVD title and content copy refers to copying DVD disc to your PC in a form of a file containing the main movie only. In most cases, the main title and content is one with longest duration or largest size among all titles of this DVD movie. In this way, you can get rid of all the unwanted titles in DVD. The most important merits can be summarized into three major points: time-saving, space-conserving and convenient playing. In fact, copying a single title (main title) obviously takes less time than copy all titles. And you can also save time by only watching the main movie content instead of the whole. Accordingly, main movie copy will occupy less space of your computer. After copying DVD disc to a VOB file, you can transfer them to be played by more players or TVs. How to copy DVD Main Title and Content? In order to copy DVD main movie title, you need to prepare DVD copy software first. But please to make sure the software you choose can support all DVD discs, including the latest protected DVDs, commercial encrypted or copyright protected DVDs. Take a try of Brorsoft Video Converter Ultimate (for Windows platform)/ Brorsoft iMedia Converter for Mac, which has been rated as the best DVD copy software to backup DVD on Windows (10) and Mac (El Capitan) in a flexible and simple way. With it, you can copy the main movie only from a DVD and leave out unwanted menus or other extras. 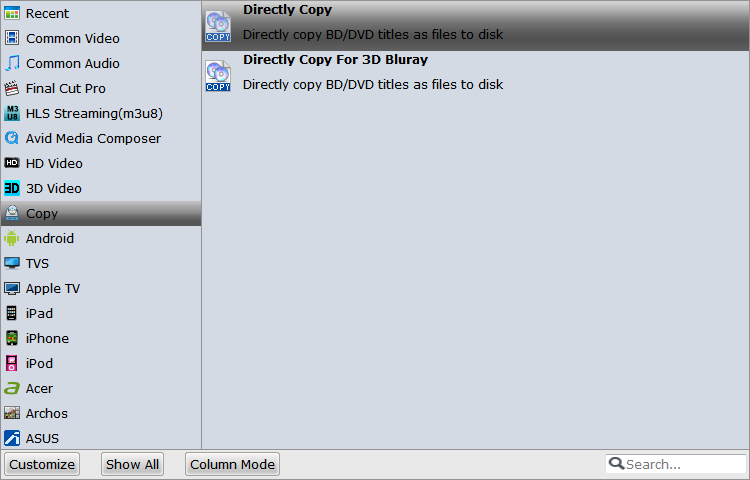 While with the Full Disc Copy feature, you can also copy DVD disc with original structures to hard drive if you want. For smart phones(Galaxy S7 Edge), tablet(iPad Pro), game consoles, you can back up DVD main title to a single MPEG2 file (other optimized video formats such as *.mp4, *.avi, *.mkv, etc or devices preset formats available in the program) without the necessity of copying all content of DVD movie.with optimized video formats. Note: Here we choose the Windows platform as example, Mac version has almost the same steps besides the tiny difference in interface. Insert DVD Disc to the DVD-ROM to read DVD Disc. Launch the top DVD Copy and click “Load file(s)” button to import DVD movies. Click “Format” bar, choose “Copy” > “Directly Copy” from the Format menu and then specify a folder to save the .vob files from DVD disc. Or for other portable devices, you can choose the other optional format for “common video” or ”HD video” or device preset format from the pop-up format box. 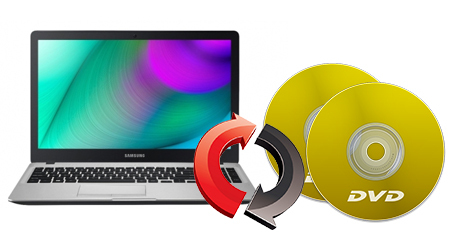 Hit “Start conversion” button to start copying vob(or other format you selected) from your DVD Disc to hard drive on Windows (10) and Mac (El Capitan). When the copying work is done, you are able to click “Open” button to get the output .vob files or other you selected format files without any other extra structures or contents.